I wondered if Sentry has been through Reed's stasis field in The Sentry #1? And your question is probably how the Sentry got through Reed's stasis field. It depends... If the stasis field was built like a simple fence, then the Sentry probably just flew in from above. But it's Reed's tech we're talking about right now and Reed usually thinks of everything, so I would assume that he had even the area above covered up, which is why I made the assumption, that the Sentry teleported in. You should still not put all too much thought into it. Stuff, that happens off-panel is always wonky and besides that, the Sentry has done more than enough on-panel (Doctor Doom's force fields). I wondered if he could be stopped by time manipulation according to the fact that Morgana Le Fay erase him from the timeline and he comes back like it never happened. Well as we know Sentry pretty much can't be eliminated without his cooperation. I'd place money on him resisting it. I don't know. I would not argue for it, since the Sentry never really had to deal with actual time manipulation in the comics. 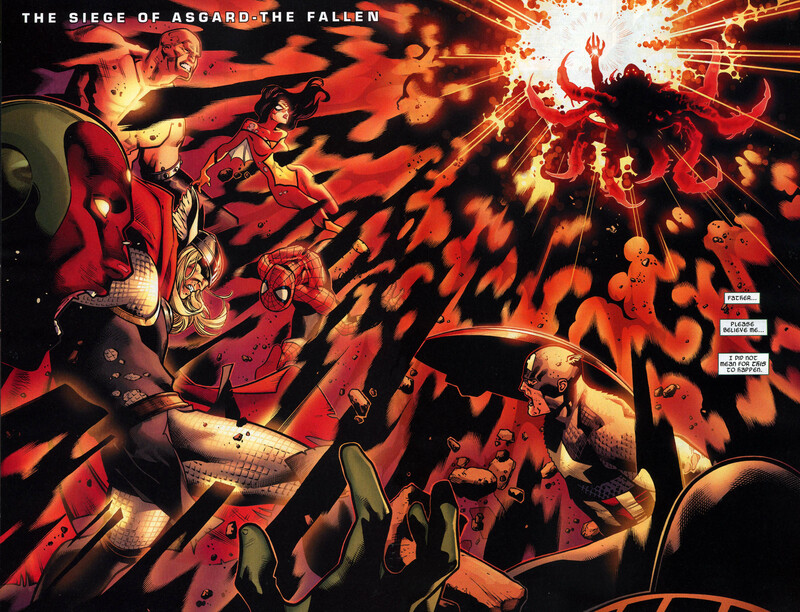 Ares for example was straight up immune against X-Man's time freeze, while all the other Dark Avengers were affected by it (except for the Sentry, who teleported away prior to that). Ares said, that it wouldn't affect a god like him. 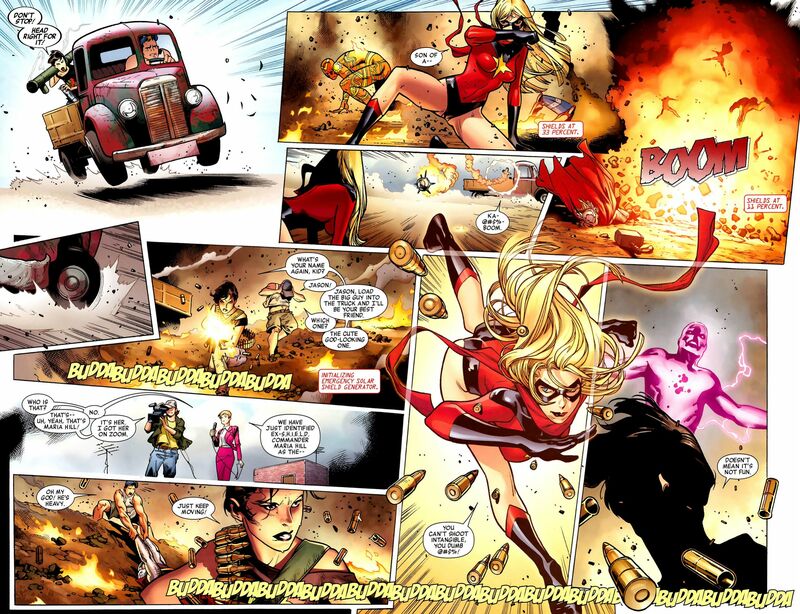 Sentry got destroyed by Morgan Le Fay, but nothing in the comic indicates, that he got erased from the timeline. Morgan is capable of doing something like that, but for that she has to travel back in time and then kill the person, before he / she gets powers or even gets born (she went back in time to visit Doctor Doom as a child. She said, that she could have killed him there to stop him in the future, but she knew, that she would need him later on). He might be able to resist time manipulation. I have Sentry's first volume right in front of me and there are interviews with Stan Lee at the end. These interviews were obviously staged and a part of the Sentry hoax in the year 2000, where Stan Lee was pretending, that the Sentry was his first character... But some of the questions he answers are interesting, because a lot comes from Paul Jenkins ideas and what he had planned for the Sentry. 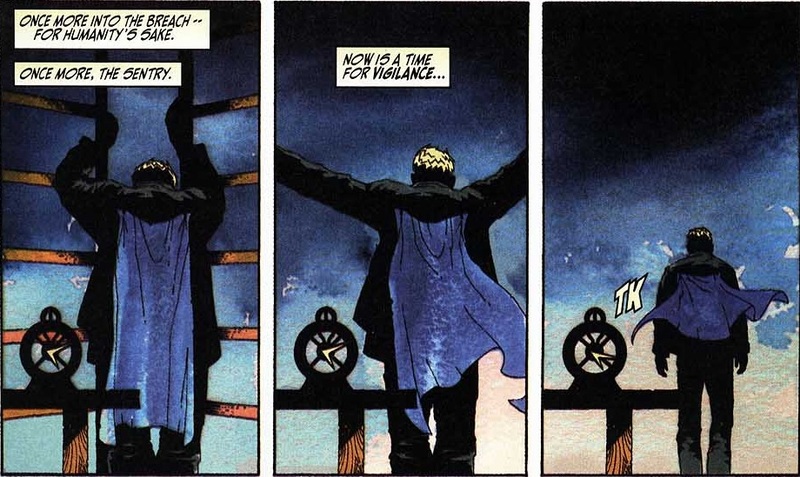 JOE: What is it with the theme of all the clocks with the Sentry's Watchtower? STAN: Wow, it only took you four issues to notice that, Quesada? I noticed the clock being set back in issue #1 of this merry missive! Well, hey, that's why I get the big bucks --- or would if I did! JOE: Okay, so I'm not perfect! So... what's up with the clocks? STAN: Well, it's like the fog is being lifted off my own memory as I read this. But I'm still not 100% certain. 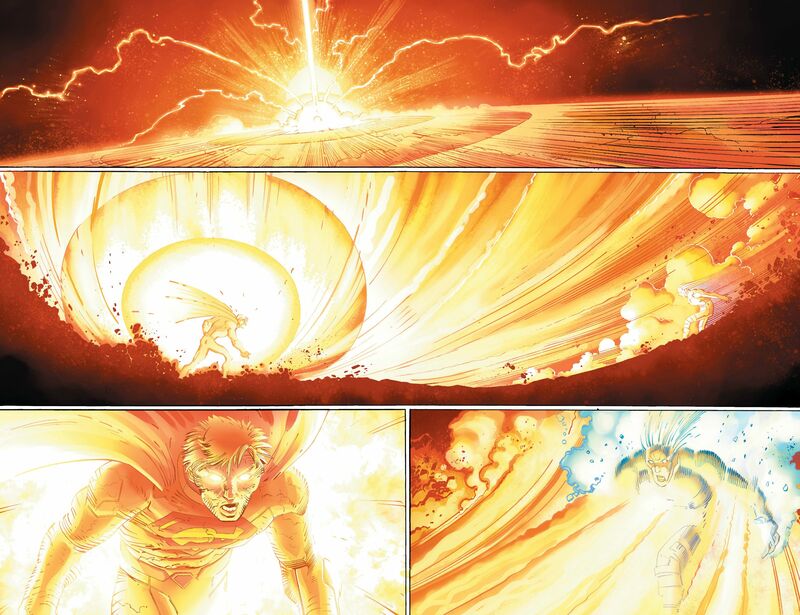 As I said earlier, I believe the Sentry has some powers derived from light. I also think he's somehow tied in with time. I don't think he's a time traveler or one who has mastery over time, but I have a vague recollection back in a dusty corner of my noggin that the Sentry is somehow linked to the force we know as time. 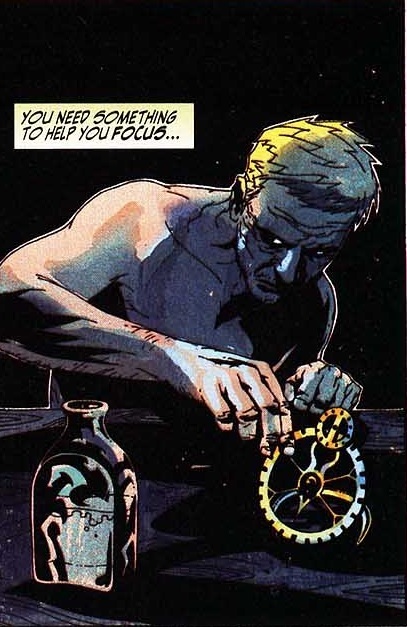 And that's interesting, because in the comics we could see the Sentry being near clocks, or interacting with clocks. 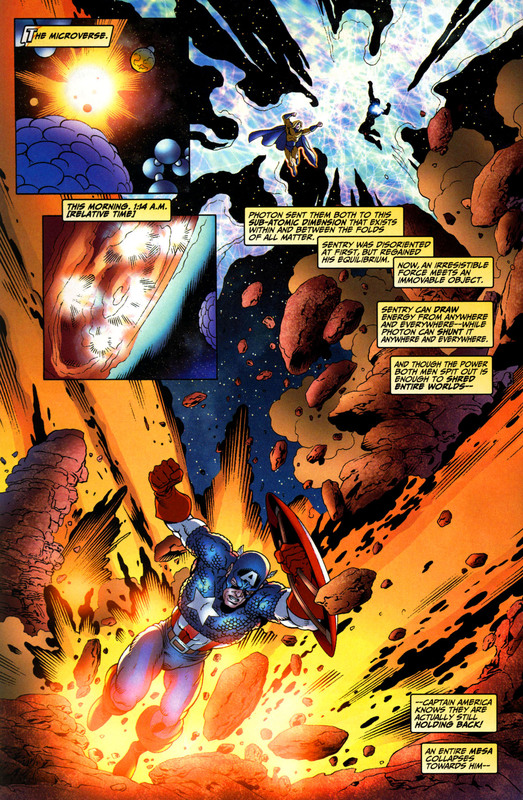 The idea with time might have played a role later on in the Sentry comics, if Paul Jenkins continued to write them. He had a third Sentry volume in mind, where Sentry would have finally accepted his godhood. Too bad he hates mainstream publishers now and only works for BOOM, where he has the control over his own created content. The final fight in Deathmatch is between the hero of that story (Dragonfly) and Anti-Meridian. Anti-Meridian gets defeated by a paradox / time-traveling and I can imagine, that Jenkins had the same in mind for Sentry and Void... Now he just used that idea and used it in a different story with different characters. 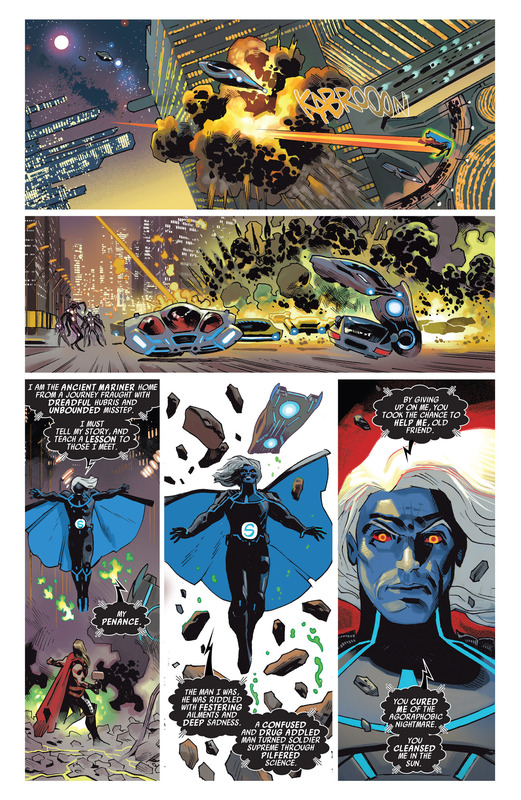 If you look at Uncanny Avengers, The Sentry's velocity bends space and time and I think that's not hyperbolic. I remember that The Void killed everybody in the planet Temporalon. I want to understand the point under all those time references. As I've said it before: It looked like Paul Jenkins had something in mind for his third Sentry story, which he never got to publish. To be more specific: A "confluctor" device, which he used to open portals to the Negative Zone, where he tossed his opponents into. Sentry later on donated these Confluctor devices to the government, so that they could continue experimenting with the Negative Zone. I assume, that all the time references would have played out in the third Sentry volume, where the Sentry would have maybe traveled back in time with the Void in order to prevent himself from leaving his schizophrenia unchecked. 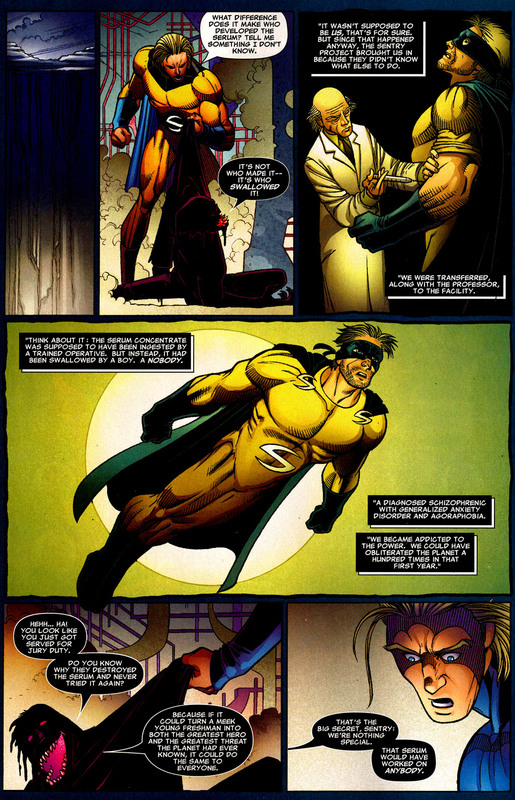 If that illness is not battled with the right medicine, it becomes stronger and stronger and later on during the Dark Avengers we saw what exactly happened to the Sentry, after Osbon started giving him anti-medicine: Sentry started becoming more and more delusional, turned into the devil, he believed to be (Void) and attacked the good guys. 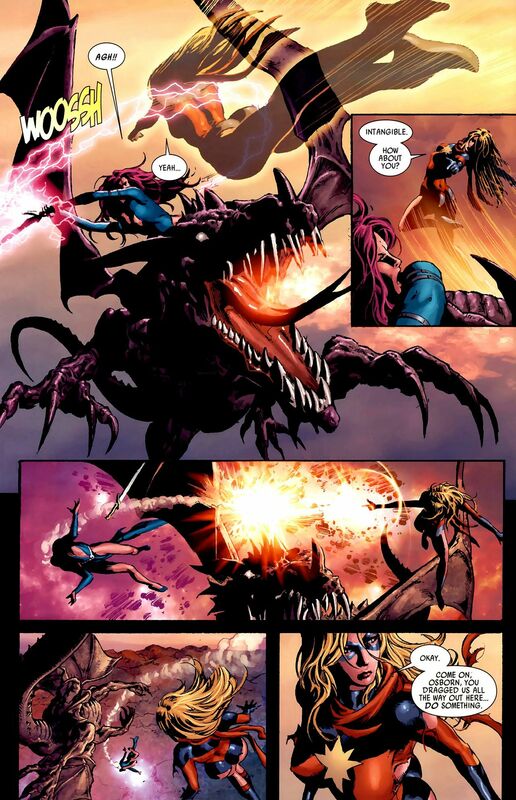 I'm basing that assumption on the fight between Dragonfly and Anti-Meridian in DEATHMATCH #11, where the evil entity Anti-Meridian served like a Void-like creature and was even the evil counter-part of the glorious superhero Meridian. I'm actually reading Deathmatch, it's pretty good. I thinked that because the molecules of The Sentry are shifted a few moments in the future and that The Void is his inverted self, then The Void was moving backward in The Sentrys timestream and that's what is happening with The Meridian and his Anti-Meridan. 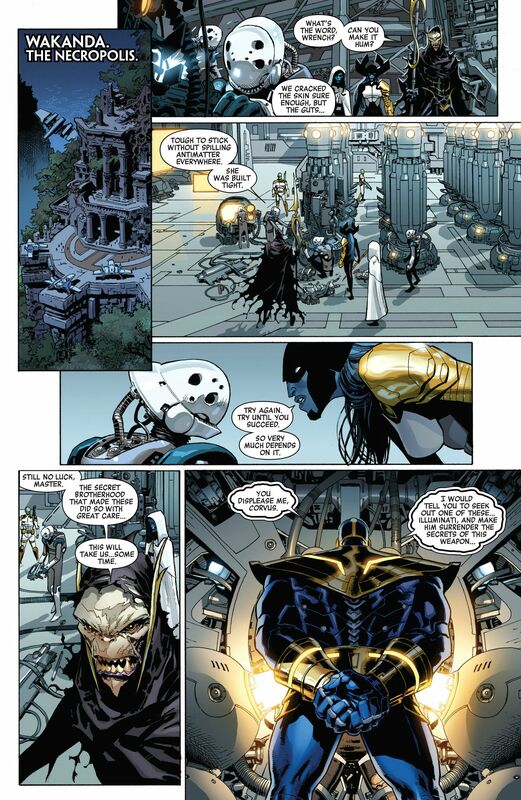 SENTRY Q & A: Can the Sentry affect intangible beings? For the record: This question originated from a battleboard discussion and I'm going to treat it as such. It is also one of those questions I would rather not answer, since it requires me to assume things / give my own take on something, instead of backing it up with solid proof, but hey... a request is a request, so here... we... go! I don't know. Arguments can be made for both cases and which one you personally side with really depends on how you perceive certain stuff in comic books. In the final battle of the SIEGE event, where the Sentry was so delusional, that he became the Void, he attacked the heroes with his infitendrils of darkness and sent all of them in a state of shock, where they faced the horrors of their past, present and future. On the left we now have debaters, who say that the Sentry can affect intangible beings and on the right side we have debaters, who say that the Vision had simply chosen to not turn intangible. 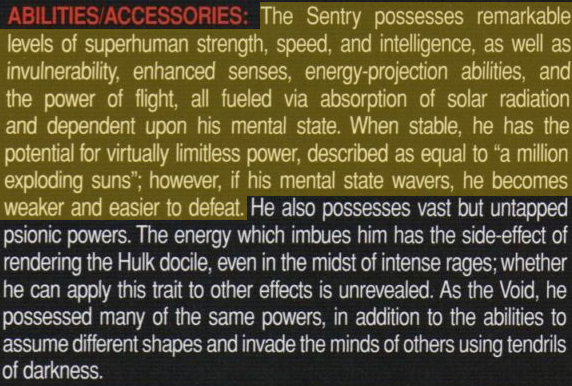 I personally like to tackle questions like those from a logical point of view and in this case I would personally side with the people, who say, that the Sentry can affect intangible beings. Why? Because if the Vision had a shot at doing any good at all - no matter if it's to save himself, or himself and one more person or maybe even save the day entirely - by going intangible, then he would have used that ability. But he didn't, which tells us that he couldn't. The Vision versus the Sentry? In that fight the Vision was facing someone so powerful, that his abilities were useless. 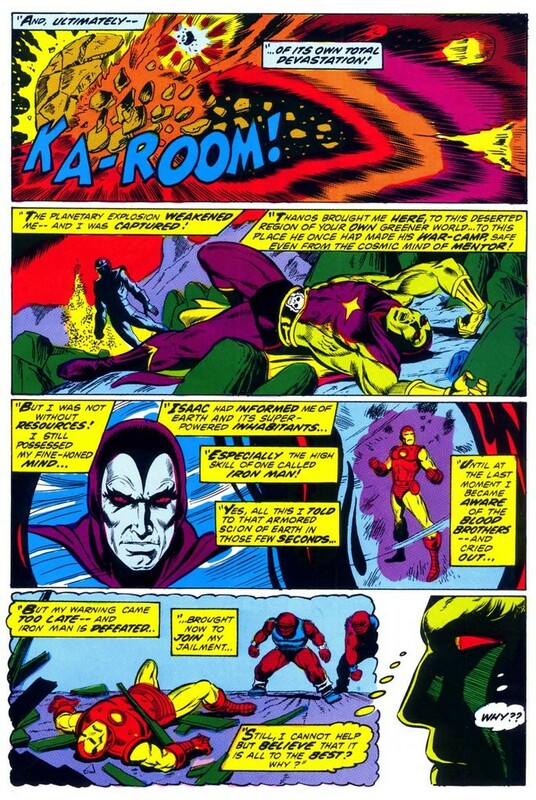 It would have been vastly out of character for Vision to not use his intangibility just because. 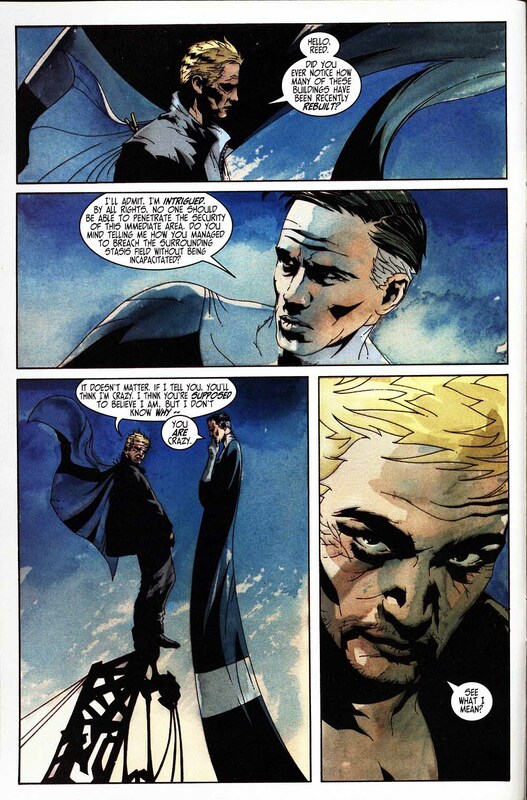 In the Sentry we have a character, who is capable of doing whatever he wants and as for now, he believes, that he does that by controlling the molecules, just like the Molecule Man. It wouldn't be out of the ordinary to think that he is able to get past the intangibility of others. He has done crazier stuff than that. 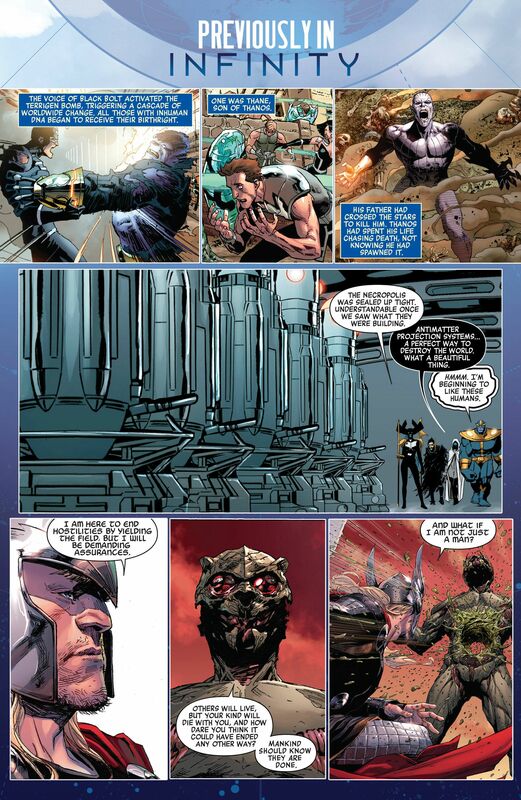 Hoping for Sentry to return soon in the new Uncanny Avengers. SENTRY Q & A: How powerful is the Sentry? He is more powerful than you give him credit for. I'm a big fan of ABC logic, if it's done right and to answer the question above we need a little bit of that said ABC logic. It will mainly be used to debunk the flawed statements other people bring up, to not only downgrade the Sentry, but other characters in general. Here is one of those flawed statements... It's the notion, that Thor is more powerful than the Sentry, due to him having more and better feats. Yes, Thor has more and better feats, but that still does not mean, that he is more powerful than the Sentry. When it comes to the power levels of characters in direct comparison against other characters, we can't judge that purely by feats alone. We have to look at the lore. Here is a good example... Is Spider-Man more powerful than Carnage? Judging by feats he is, since Spider-Man is the one, who appeared in infinitely more comics than Carnage and had the chance to gather higher end feats, but in the end of the day Carnage is overall still the more powerful character. 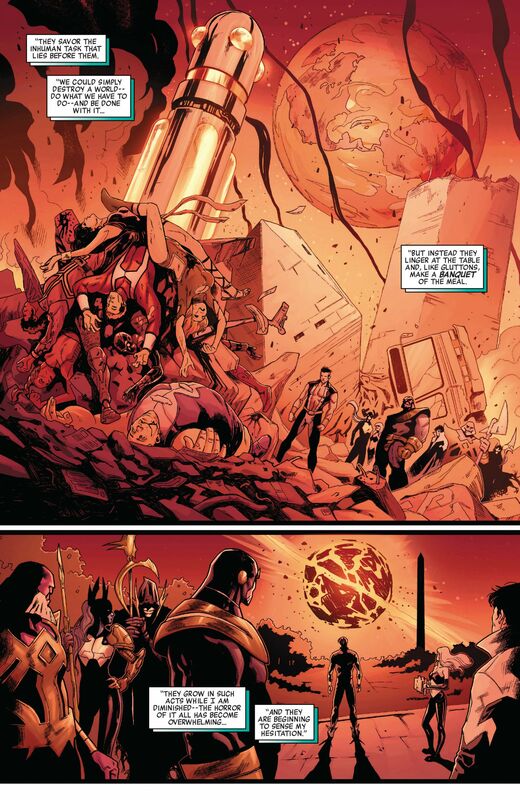 I will now make the bold statement that the Sentry wields more power than Thanos himself and I will back up my claim soon, but first I would like to build up to it and show you direct comparisons between the Sentry and other well known characters and their upper power limits. That does not mean, that Superman can't destroy a planet, since he has shown the physical strength to move planet sized objects and if he used that strength to move the Earth even a little bit, he would pretty much end all life on Earth instantly. 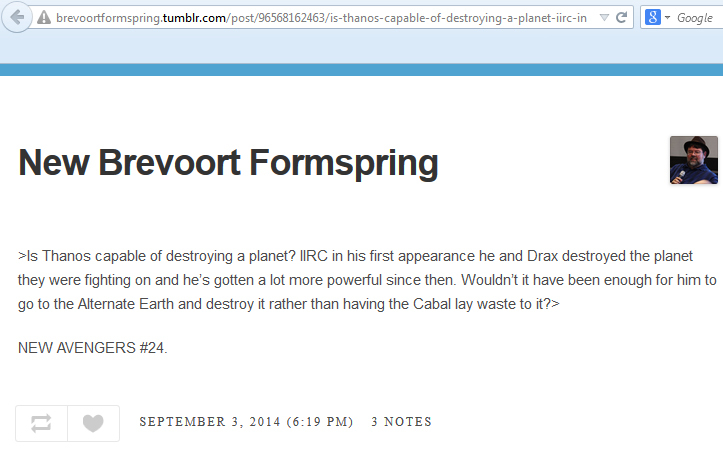 If he flies the Earth into the Sun, he destroys the planet entirely. But with power / energy alone? Not so much. And that's not even what this is about. 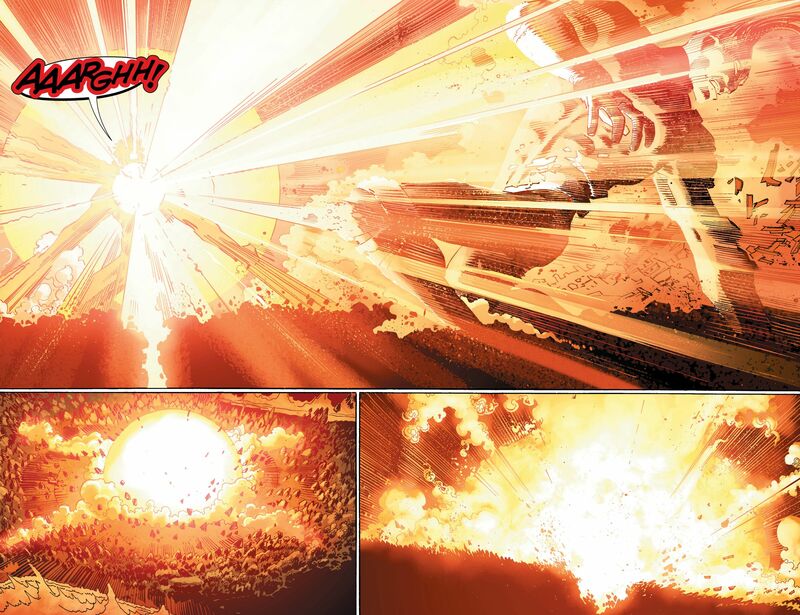 Superman has destroyed moons in older comics, but it has taken a lot out of him. The same can be said for Thor, who was shattering worlds in his fight against Gorr, but he was destroying his own body in the process. An amped Silver Surfer has destroyed planets in the past, so it's not unheard-of for herald level characters and above to destroy planets, but these are ridiculous high end feats and in the end of the day it always features random planets, which ultimately don't matter at all. Where heralds exert themselves massively or need amps to perform planetary level destruction feats, Sentry does it while still holding back. My actual argument however is about the limitations of the named characters so far. 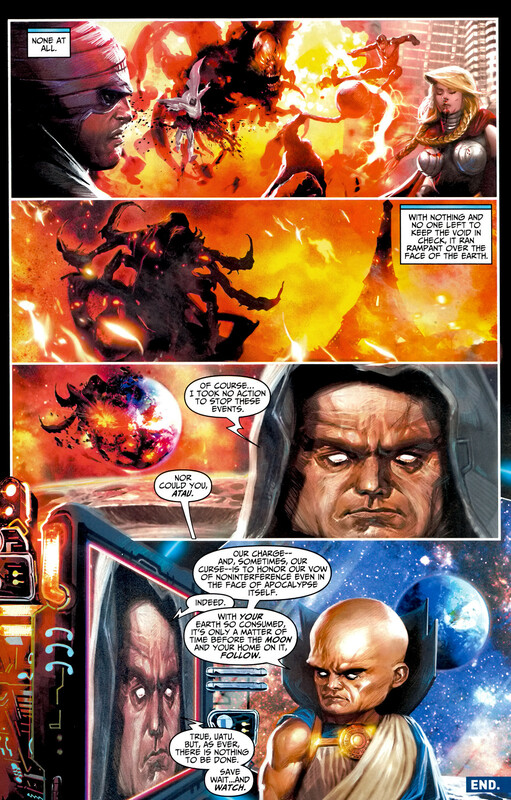 What I've shown so far is only that the named characters are capable of destroying random planets and that the Sentry himself does that, while holding back, where other heralds struggle a lot with it. 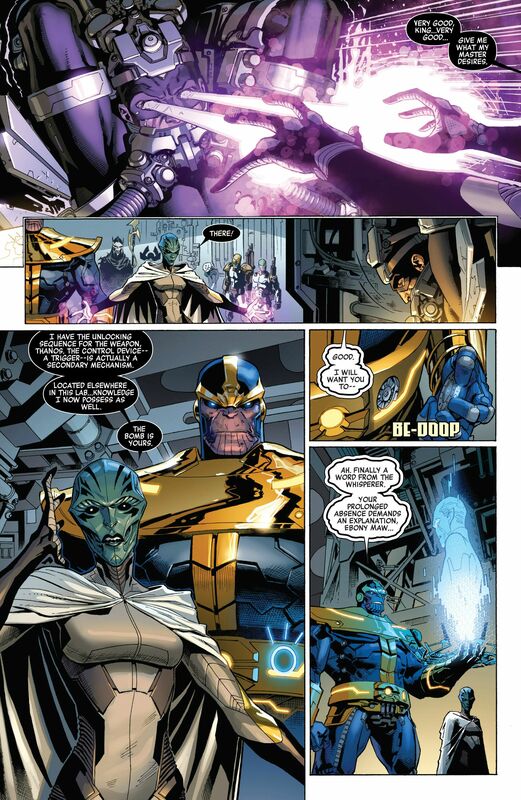 That still does not cover up the Thanos instance, where it didn't look like he was struggling too much with it. So my argument is about the only planet, that truly matters: The Earth! Now please understand, that I'm not downgrading Thanos and all that. I'm just showing you Thanos' limits. He can't destroy the Earth under his own power. Now, the counter argument can be made, that Sentry surpasses the other named characters based on power alone and that his other stats don't hold up, like for example when it comes to Binary, who destroyed a planet in the past, but is physically still below Gladiator. 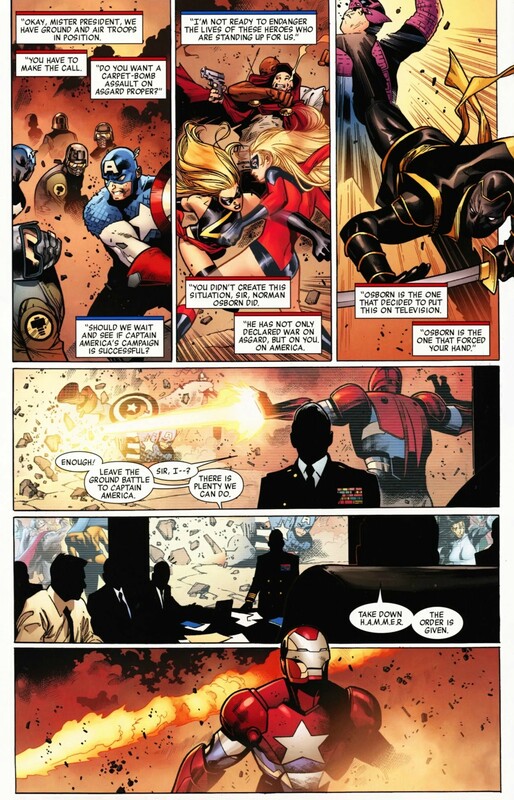 At the same time that argument shouldn't be made, since this respect thread features an in-depth coverage of the fight between the weakest version of the Sentry yet and World War Hulk, one of Hulk's most powerful incarnations, where the Sentry arguably still had the upper hand in the fight. Now if we say that a Savage Hulk a mid herald (due to his lack of versatility), but in terms of strength and durability actually a high herald is, where does that put World War Hulk in terms of the rankings? And where does that put an unstable Sentry, who goes toe-to-toe with WW Hulk and smiles about the damage he takes and asks for more? The answer should be obvious. That's it! Next up are Sentry's various versions and their ranking, since there is some misconception based on the already mentioned, flawed statements. SENTRY Q & A: Is Void more powerful than the Sentry? No, he is not. For some reason some people think that the Void is even more powerful than Death Seed Sentry..? Like what..? Let's actually start from the bottom... Why is unstable Sentry the least powerful version? An unstable Sentry suffers from agoraphobia and generalized anxiety disorder, which weakens his body and hinders his performance. He is not at his best by default and the Sentry you could see during the World War Hulk event, was the Sentry at his absolute lowest. At no other point in comics was it as well documented as there. Just to clarify it or better say repeat it once again, to get it into your heads... Void is a side effect of Sentry's schizophrenia. 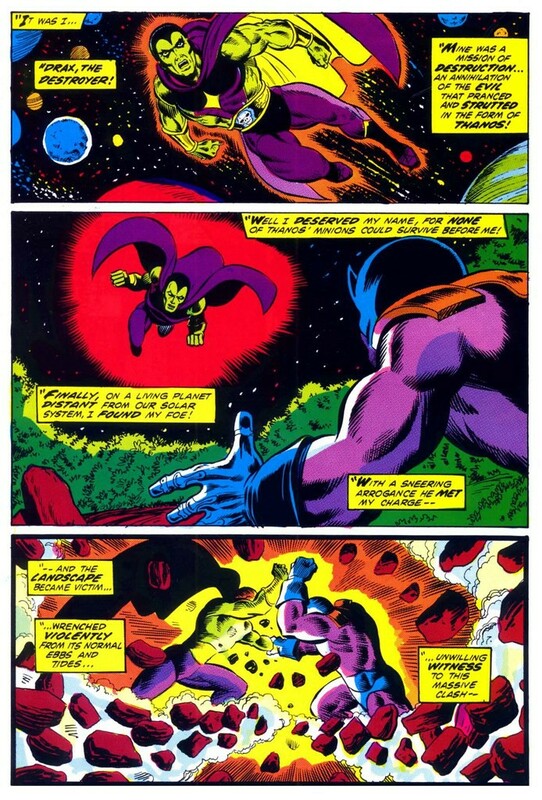 Void himself is a hallucination, a being called into existence, by Sentry imagining him. Void-Sentry is a state, where you see Void "taking" over the Sentry. It's not necessarily a taking-over-process per se, but rather the Sentry suffering from delusions, which are one of the schizophrenia symptoms... The Sentry believes, that he is the Void, so he becomes the Void. Ultimately Void / Void-Sentry is obviously more powerful than an unstable Sentry by default, since Void himself does not suffer from agoraphobia. He is just the side effect of it, so there is never really a point in the comics where the Void is afraid of something or hindered by it. Every hero has encountered his arch-nemesis many times and the Sentry is no exception. 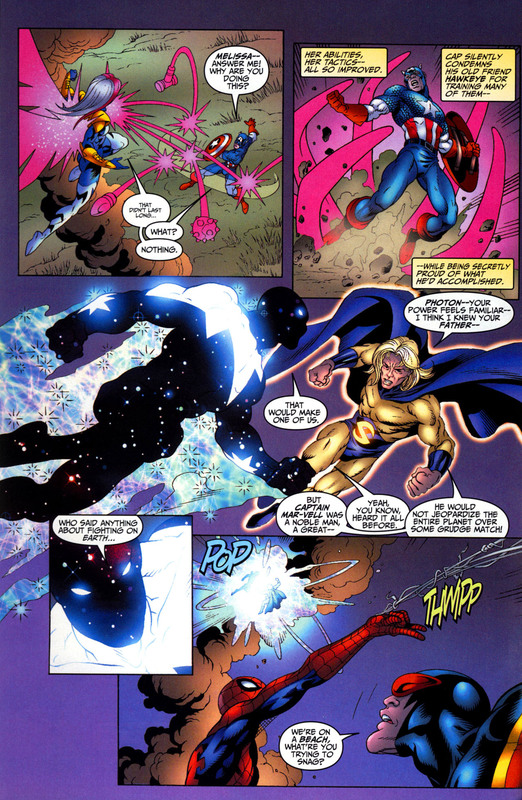 Sentry and Void have fought many times and during most of those encounters it was the Sentry, who came out on top. And last but not least... Why is Death Seed Sentry the most powerful version? I personally view the Sentry as a high transcendence level character. Trans characters are pretty much more powerful than high heralds like Silver Surfer, but less powerful than Skyfathers like Odin. 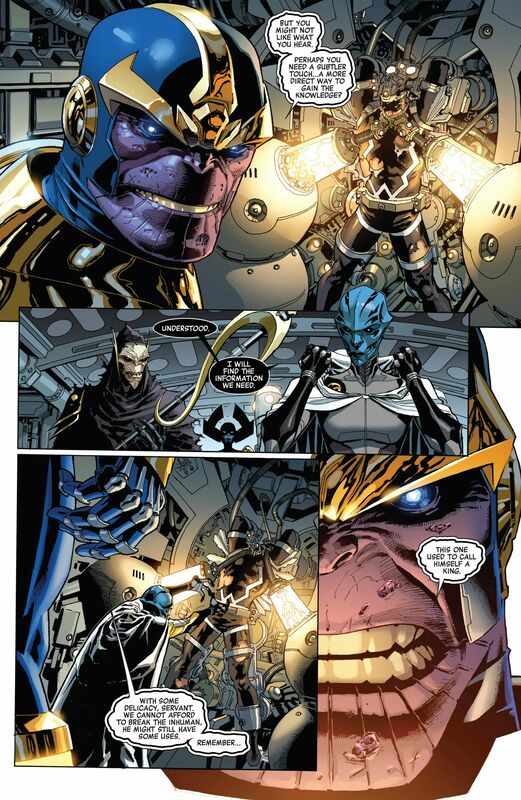 Thanos for example is such a character and probably the prime example for the trans level tier. There are some fans, who put the Sentry even higher, due to him beating the Molecule Man, but that assumption has so many flaws, that it's not even worth talking about it. 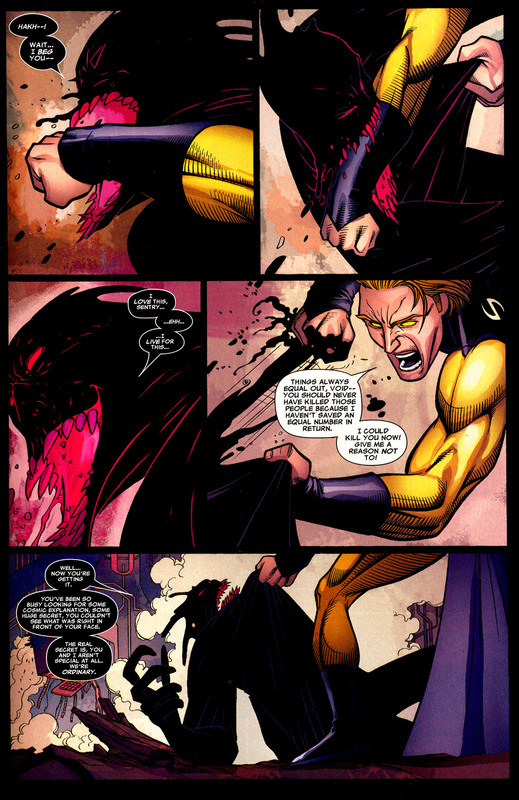 However, the Sentry does have the potential for higher tiers, due to all the hyperbole surrounding the character, but as for now I would say that we should work with what we have at our disposal and if even an unstable Sentry can go toe-to-toe with World War Hulk and outperform planet busters like Binary, while a mentally stable Sentry easily surpasses the destructive capablities of high heralds, while still holding back... AND even seems to wield more power than Thanos himself? Yeah, that's pretty much him performing at high trans levels, yet still not out of the ordinary like it would be the case for Skyfathers like Odin.